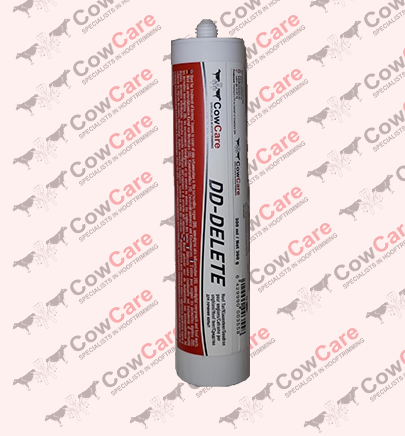 DD-DELETE is a hoof tar which was developed to be used in connection with the treatment of hoof problems such as digital dermatitis (Mortellaro), interdigital overgrowth, heel warts, etc. Composition: tar, salicylic acid, and copper sulphate. Easy to apply with a dispenser. The manual Dispenser DD-DELETE dispensing gun is ideal gun for the DD-DELETE tube. Simply squeeze the handles of the DD-DELETE dispensing gun and apply bonding materials easily and effectively with the right adhesive dispensing equipment. 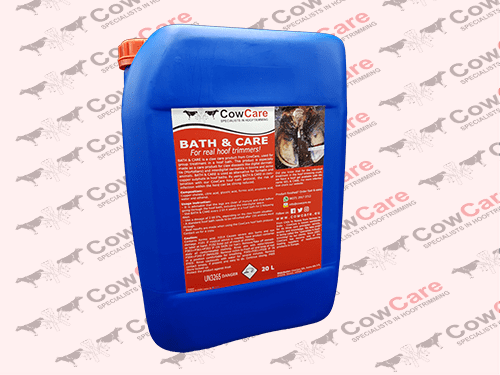 BATH&CARE foot baths solution is a non-antibiotic hoof care product for bovine and ovine animals and comes packed in 20 or 1000 litre. BATH&CARE is easy to use and to apply, simply check the CowCare protocol. Besides, this product should be used every 2 till 4 weeks in a foot bath for 2 following days. SPARY&CARE is an original liquid hoof care product which is mixed with water. 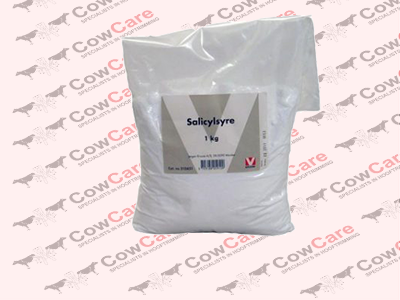 SPARY&CARE can be used for both individual management of cows with claw problems and for herd management. 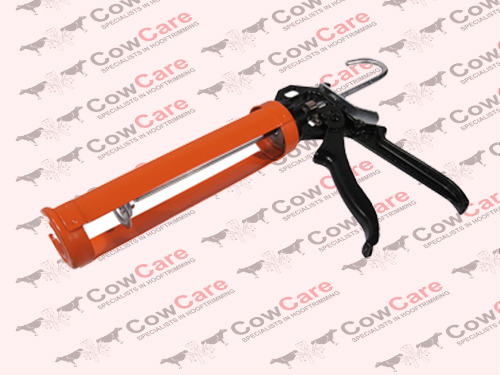 Herd use may be carried out manually with a low-pressure spray gun when the animals are, for example, tethered at the feeding rack. 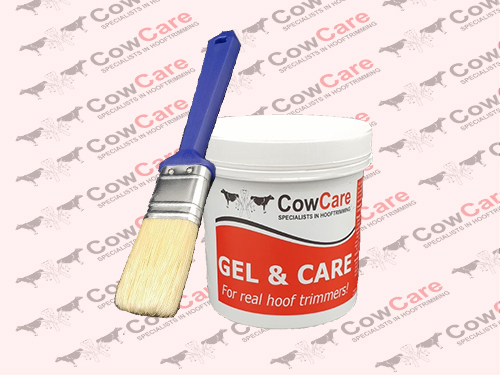 GEL&CARE is a claw care product from CowCare, used for individual treatment during hoof trimming. This product is especially made as an individual care product of claw diseases like digital dermatitis (Mortellaro) and interdigital dermatitis in bovine and ovine animals. 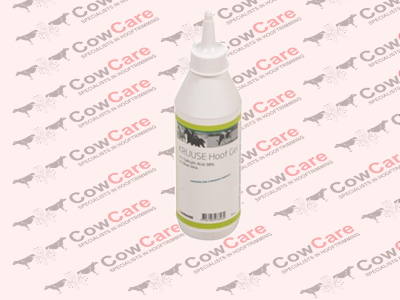 Kruuse Hoof gel is made from 38 % salicylic acid and Aloe Vera. The gel is used in the treatment of Digital Dermatitis for cows and cattle. 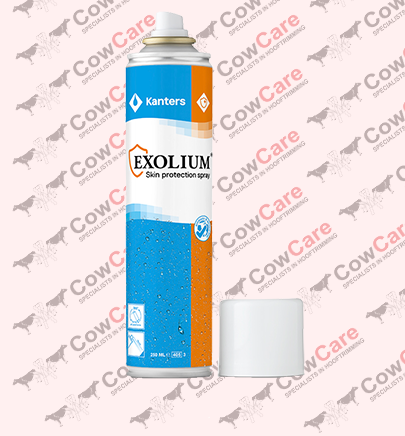 Exolium Skin Protection Spray is an extremely effective, antibiotic free protective derma spray and skin care product for animals. The secret of its strong and immediate effect lies in its composition based on different chelated minerals. 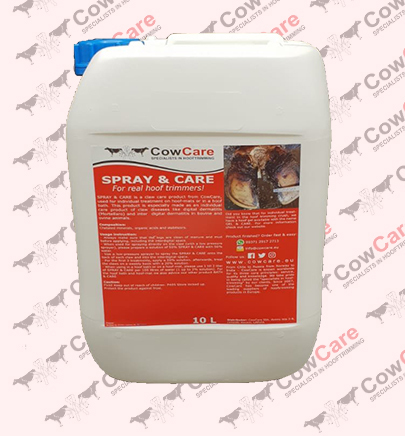 Besides providing protection to the skin, the spray also provides immediate support after hoof trimming and with bacterial infections (Mortellaro). 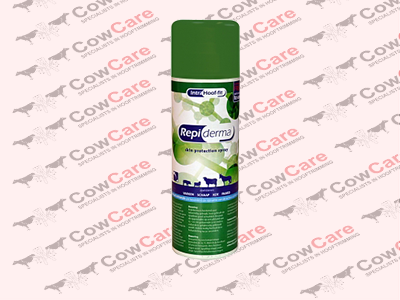 Repiderma is a skin-protecting spray that provides an immediate effect. 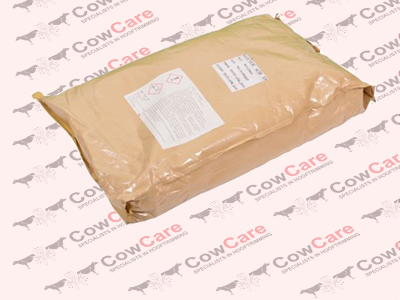 The product contains active ingredients, in the form of micronized chelated minerals which penetrate deeply into the skin in a short time for the treatment of different diseases of cow and cattle. 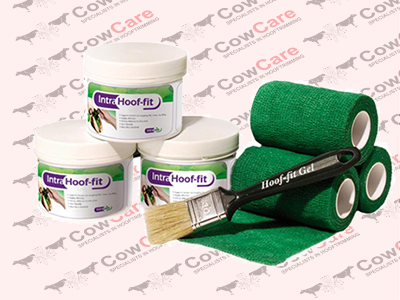 Hoof-fit Gel is an antibiotic-free choice to many claw problems and an official veterinary medicinal product for curing inflammations like Digital Dermatitis. A combination of chelated copper and chelated zinc enables it to treat the infection and support the healing process.